Thanks to Ruby's participation, I'm starting a line up for Bandai's translations for each Mai-Otomeomake. Keep in mind that their translation isn't perfect and this thread will serve the purpose of finding those little silly mistakes. 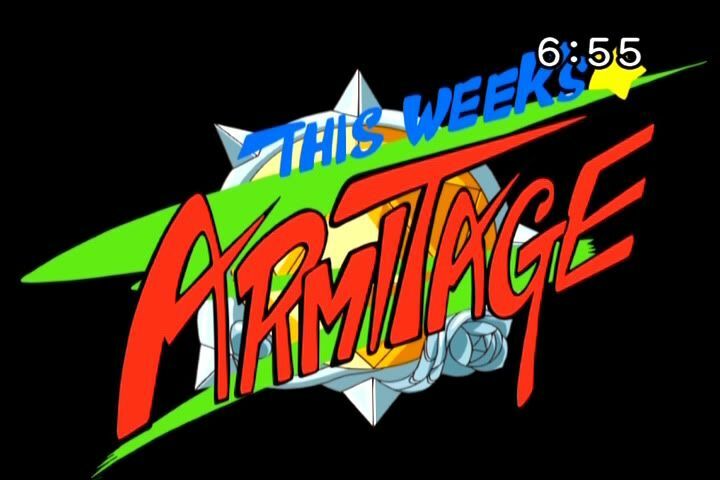 We shall begin with "This week's Armitage!" Narrator: Not only for her outstanding strength and unconventional actions...this Meister is very much liked by the citizens for many reasons. 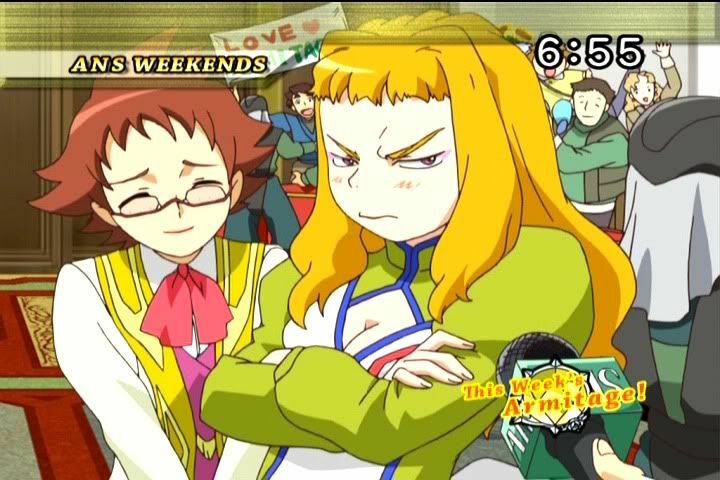 We will examine what happened this week with Meister Haruka Armitage. Narrator: Brought to you by these sponsors. Armitage...were to attend the coronation in the capital of Windbloom. Wind City. had to push it all the way here. Haruka Armitage: Don't tell them any of the embarrassing details. Narrator: Brigadier, are you referring to your ship, the Suzushiro? 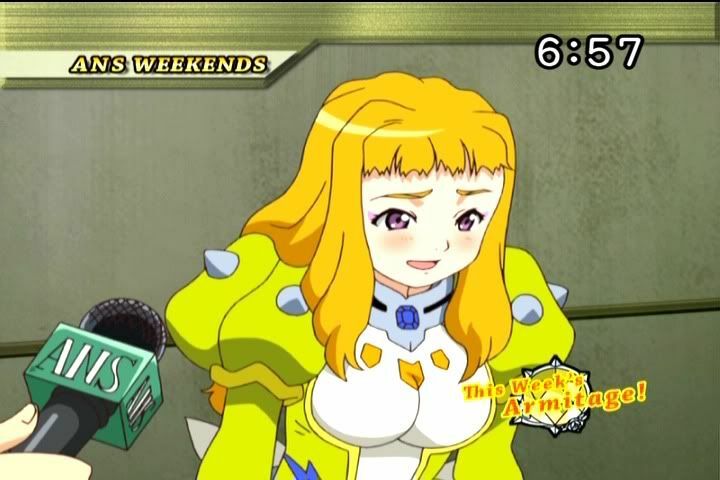 Yukino Chrysant: Haruka. Be careful of what you say when you're out in public. Narrator: Just then the incident you all know about occurred! Luckily, one Otome in training, Arika Yumemiya...saved the people from this danger. However, it proved to be too much for one student. It looks like we're doomed! Haruka Armitage: Hey, you Coral! You did well to last so long! Our own Brigadier Armitage came to the rescue just in time! An Otome needs strength, skill...AND GUTS! Arika Yumemiya: Amazing! Totally amazing! That was so cool! Haruka Armitage: Well, now you know what I'm capable of. Narrator: Wow! Brigadier's mood has quickly changed for the better! What do you think of the Brigadier? Nina Wang: I think she's a wonderful person. It was our chance to see Big Sister Haruka of Aries at work. 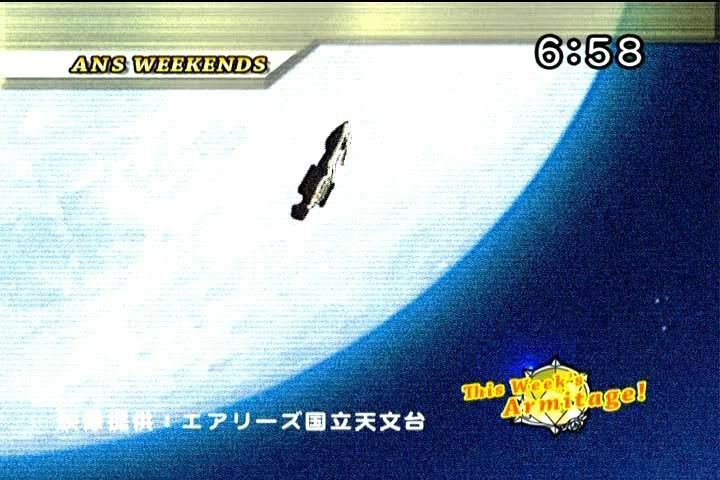 Arika Yumemiya: Does this mean that we're on TV? WOW!! Random child: Brigadier Armitage! Please marry me! Narrator: Looks like we have ourselves a scoop! The Brigadier is blushing! This is big, really big, Armitage! Now, let's see where the spaceship ended up. Image provided by: Aries National Astronomical Observatory. Look up to the night sky and watch the stars. So how did you like "This Week's Armitage?" Finally, we'll hear from the Brigadier herself! Haruka Armitage: The Chrysant Government is a stronghold of deliveries! Yukino Chrysant: You mean "democracy," Haruka. Look forward to another week of adventures! Look for more Bandai Mai-Otome omake in the near future. Was this translation taken from the Bandai subs, Luu-sama? The Fire Stirring Ruby wrote: Was this translation taken from the Bandai subs, Luu-sama? That is correct little one. To save forum space though, I'm going to just post the Bandai translations on your Mai-Otome omake threads. Haruka: Shut up! Also, what about this site? A vinyl-covered castle? Are you not ashamed? Interesting to see how some words get translated or interpreted differently to the English subtitles, depending on whether a big company like Bandai or a small group of fans on the internet does it. In this case; I prefer the latter. It sounds more Haruka-esque.